Posts tagged with "King Bach"
Last night, Los Angeles’ elite came out to celebrate the launch of Wheels – California’s latest bike-share app at Sunset Tower! Guests including Kelly Osbourne, Drew Taggart and Alex Pall (of The Chainsmokers), Nicole Scherzinger, Larsa Pippen, Delilah Belle Hamlin, Jessica Szohr, James Kennedy, Logan Paul, and King Bach attended the glamourous soiree. DJ, Chantel Jeffries had attendees grooving all night as she set the tempo for the evening, just before The Chainsmokers took the stage for a surprise perforsunmance. Having just took the stage for winning the best Dance Album at the iHeartRadio’s Music Awards. The Chainsmokers were seen in high spirits are they spun their latest hits. Also in attendance was Marshmello who won awards for New Pop Artist and Dance Artist at the iHeartRadio’s Music Awards. The party was the place to be as everyone partied into the late morning! This entry was posted in Feature and tagged 360, 360 Magazine, Alex Pall, bike-share app, California, Celebrity, Chantel Jeffries, Delilah Belle Hamlin, Drew Taggart, entertainment, event, James Kennedy, Jessica Szohr, kelly osbourne, King Bach, Larsa Pippen, Logan Paul, Los Angeles, Marshmello, Nicole Scherzinger, pop culture, singer, sunset tower, Tara McDonough, the chainsmokers, Vaughn Lowery, wheels on March 15, 2019 by wp360mag. 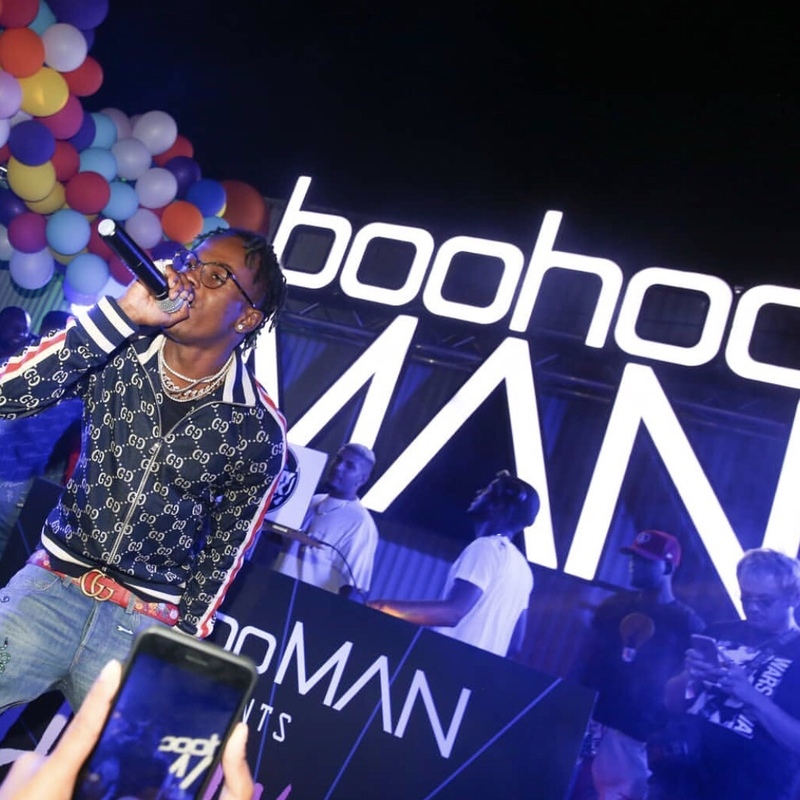 WHY: The festival themed party featured an A-List special performance from Rich the Kid hosted by DJ Khaled and carnival activations throughout the space including childhood favorite carnival games, a ferris wheel, games, balloons and custom stations. NOTABLES: DJ Khaled, Rich The Kid, Saweetie, Brittany Furlan, Elisa Johnson, Mack Wilds, Shaun Ross, Nick Joseph & Dan Rue, Terrence J, French Montana, King Bach, Steph Lecor , Brittany Sky, Jazz Anderson, Lyric, Christina Milian, Myles O’Neal, ETC. This entry was posted in Feature and tagged 360 Magazine, boohoo man, Brittany Furlan, Brittany Sky, carnival, Celebrities, Christina Milian, Diana Macaraeg, DJ Khaled, elisa johnson, Feature, festival, French Montana, illumanate festival, Jazz Anderson, King Bach, lit, lyric, Mack wilds, music, Myles O’Neal, Nick Joseph & Dan Rue, rich the kid, saweetie, Shaun Ross, Steph Lecor, TERRENCE J, Trap, turnt, Vaughn Lowery, wild on June 12, 2018 by wp360mag.